Well, technically it was two weeks ago, but it’s still March so it counts. 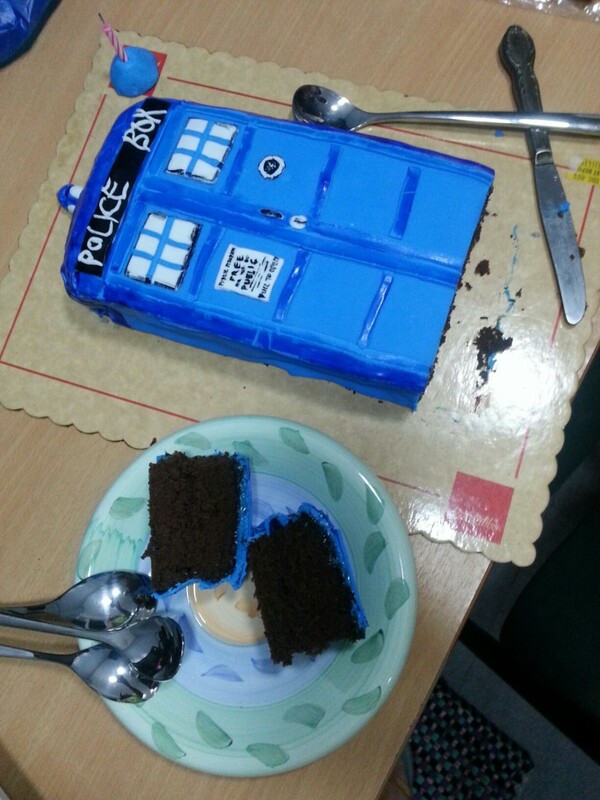 My dream of having a TARDIS cake finally came true! Thanks to my niece. Oh no. We’re eating chunks of the TARDIS. Our witches’ coven was complete as we celebrated with Samgyupsal (thanks to my god-niece), Gambas pasta (thanks to my sisters), and mojitos, while playing Cards Against Humanity and Baby Jenga. Good times. Also had a seriously good haul this year – Eleventh Doctor painting by my other god-niece, Downton Abbey book from my mom and dad, and classic rock book from my sister. Pretty cool, right?